"The larger the island of knowledge, the longer the shoreline of wonder." With anxiety writ all over their faces, the hundred students of NAFL-NPS North entered the school and returned home after a half-day class. The Vice-Principal, the administrative team and the teachers gave a rousing reception to the newcomers. After a long vacation off, June 1st, 2018 saw a sea of new faces and a lot of eager young students waiting to kick-start the academic year. 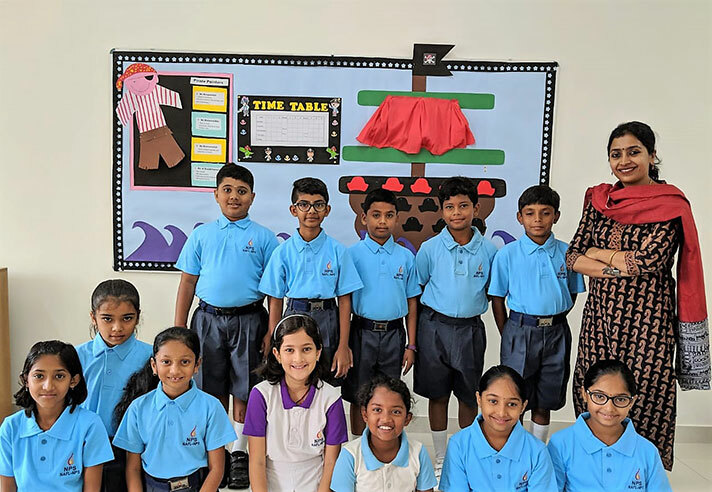 The school re-opening was marked by the speech of Vice-Principal, Ms. Hemalata Pillai who cheerfully greeted the new students and the old-timers and instilled upon their young minds the motto of the school ‘to Reach Out, to Reach High and Reach Beyond’. 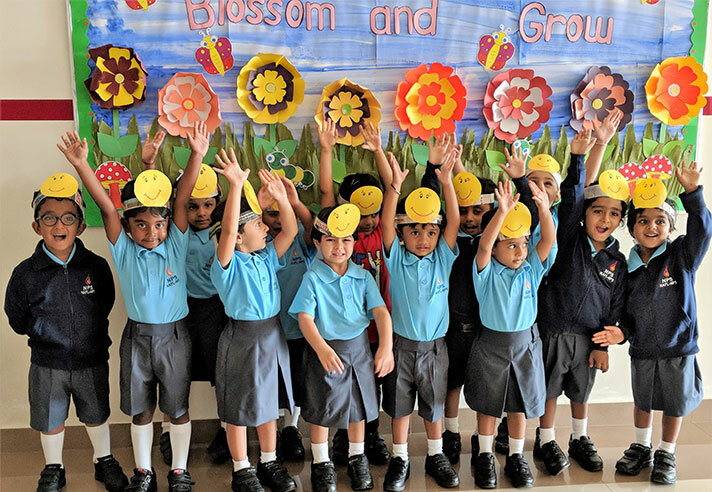 The children then were directed to their new class and the class teachers spent quality time to interact with and know each and every student. They also set the classroom expectations and some of the children regaled their experiences during summer. Time flew and soon the teachers saw a set of reluctant faces leaving the school premises after a fun day at school.